Domestic carriers are courting business travelers on transcontinental routes with flat-bed seats from New York to Los Angeles and San Francisco. I dont usually get too excited about domestic first class. But now that theyve decided to take it up a notch with an amenity usually reserved for overseas flights, count me in. That luxury traditionally comes with a $5,000 roundtrip price tag. But you can get around that with miles and points if you are a member of either American or US Airways. You can book US Airways flights on American using AAdvantage miles and American flights on US Airways using Dividend Miles due to the recent merger. This is a three-cabin aircraft. 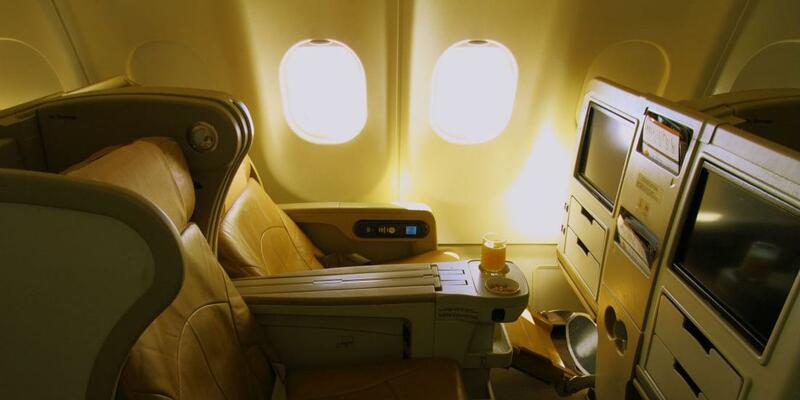 A seat in coach will cost you 12,500 miles each way. Business class is 25,000, and first class is 32,500. Both the business- and the first-class cabins feature flat beds, but the American first class is a better product. While business-class flat beds are not too shabby, there is a way to get a first-class bed for the same 25,000 miles. But you must use US Airways Divident miles, not American AAdvantage miles to book. 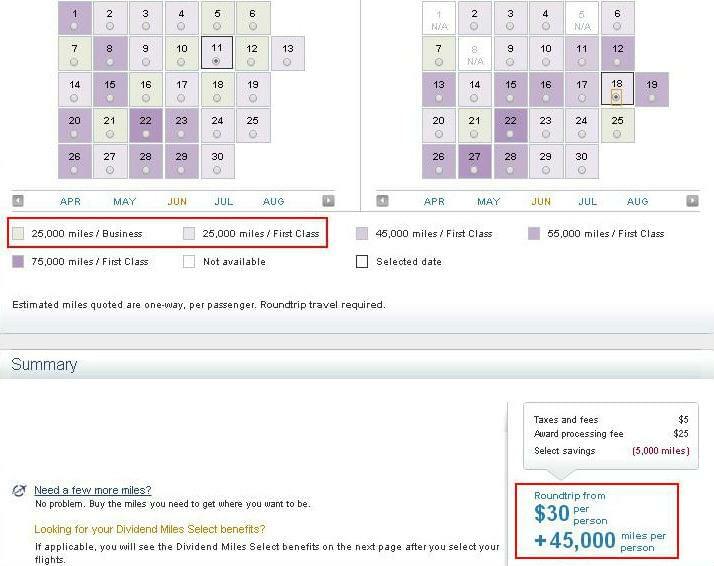 The US Airways site doesnt recognize a difference between domestic business- and first-class seats, so they price them both at 50,000 miles per roundtrip. If you have the airline’s co-branded credit card, you get an additional 5,000-mile discount so it will only cost 45,000 miles. 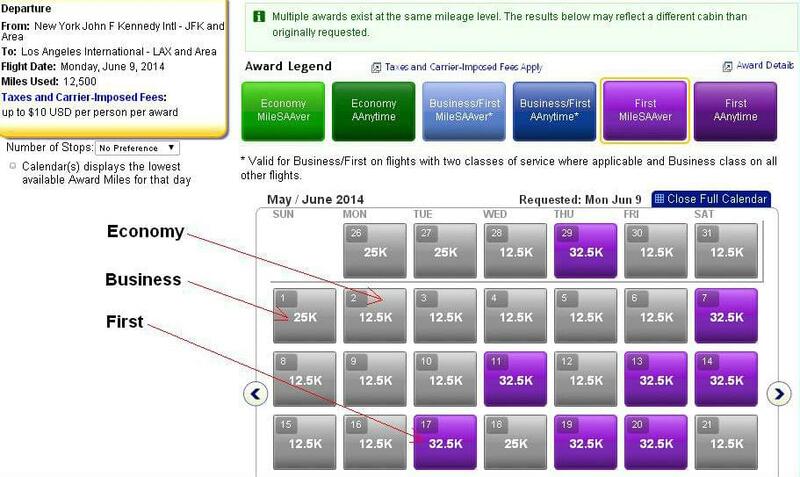 There is also a $25 fee on US Airways that you wont see when you book an award flight on American Airlines. This is because US Airways charges an award processing fee. But booking via US Airways will save you 15,000 to 20,000 miles. Thats worth an extra fee. The question is whether or not flying five to six hours in comfort is worth the extra cost in miles. We think you should try it at least once to figure it out for yourself.